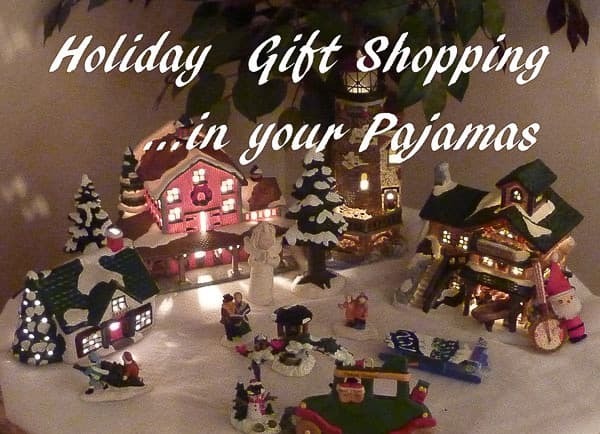 Just in time for Black Friday or Cyber Monday, here are some gift suggestions available to purchase while you are at home, sipping hot chocolate, in your pajamas, on the sofa. Because who loves fighting crowds in the malls? 4 am, standing in line at a discount store, to maybe get 1 of 7 TV’s that are special priced. No thank you! This is way too easy, stress relieving, and honestly satisfying. #1. Order. In your pajamas! #2. Open the door for delivery. Cast Iron Enameled Dutch Oven This is a necessity in our household…perfect for soups or stews or for oven roasting meats to tender perfection. This is a cool 14 ounce mug, perfect for a lunchtime soup. Holiday time…Merry Christmas! Get your honey the best blender made for juices, smoothies or soups. This is a very cool backpack with a galaxy image, available in around 30 different designs! Oversize style rasta hat. How cool is that. If you love coffee, you need to be brewing freshly ground beans. This is just like the bed that my Grand Dog, Neuman sleeps in. He loves his and it keeps him warm and cozy. Printing off social media photos has never been easier from your smartphone. Connect your social media accounts to the free-to-download HP Sprocket App and instantly turn those photos into colorful prints. Full lead crystal glasses to add elegance to your happy hour. 100% cotton, low profile cap…comes in 10 different colors. “The KONG Classic is the gold standard of dog toys and has become the staple for dogs around the world for over forty years. Offering enrichment by helping satisfy dogs’ instinctual needs, the KONG Classic’s unique all-natural red rubber formula is ultra-durable with an erratic bounce that is ideal for dogs that like to chew while also fulfilling a dog’s need to play. Want to extend play time? Be sure to stuff with tempting bits of kibble and entice with a dash of peanut butter. Add to the fun by adding KONG Snacks and topping with KONG Easy Treat.” Available in various sizes. Resembling an old barn door, this piece is handcrafted using natural pine slats, overlaid with two crossbeams to give dimension. Great for a farm-style kitchen. 15 power levels from 200-1800 Watts; 15 temperature ranges from 140°F to 460°F; Digital control panel; Built-in count-down digital timer up to 170 minutes. Use with cast iron, steel, and stainless steel clad with a magnetic bottom. Find it at Amazon here. This is a premium point and shoot camera. I have owned several models of the Panasonic Lumix and loved each one. You get superior image quality and fantastic 30X optical zoom, equivalent to a 35 mm DSLR, 24mm – 720mm lens. 34 ounce French Press with a 3 layer stainless steel filtering system to make perfect coffee. Stay cool handle and lid and the unit is totally dishwasher safe. This book covers 20 years of Cook’s Illustrated magazines recipes. These are great recipes and that is why I subscribe to Cook’s Illustrated. This is the pressure cooker Mary Jo wants for Christmas. I sure hope someone gets it for her. We bought this for our daughter Amy last year and she always uses hers. She works full time and gets home late and the pressure cooker gets used 3 or 4 times a week. She cooks rice, whole grains, beans, makes stock and it takes a fraction of the time. What guy wouldn’t want a set of 4 Stella Artois glasses? I know this guy would. Just fill with your favorite foamy drink. Find it at Amazon here. Well that’s a lot of gift ideas and maybe some have inspired ideas for your gift list. I say, keep it simple. Avoid the hustle and bustle. Have a wonderful Thanksgiving and a marvelous Holiday Season!